Ten days ago I went on a little camping / surf trip to France (which was great by the way). Of course I'm not leaving my house without unplugging all my devices and appliances. When I was making my round, I realized that what I was doing was pretty silly. When I leave on a trip I plug everything out to 'save energy', but the rest of the year I leave all the plugs where they are. And be honest, even if you're eco-conscious, when you turn the television off you might not leave it on stand-by, but you do leave it plugged into the socket right? Help is on the way. 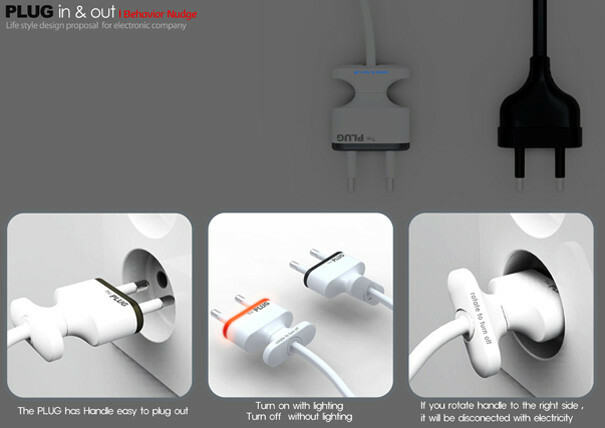 Designers Won Seok Choi came up with this intuative concept called Plug In & Out. 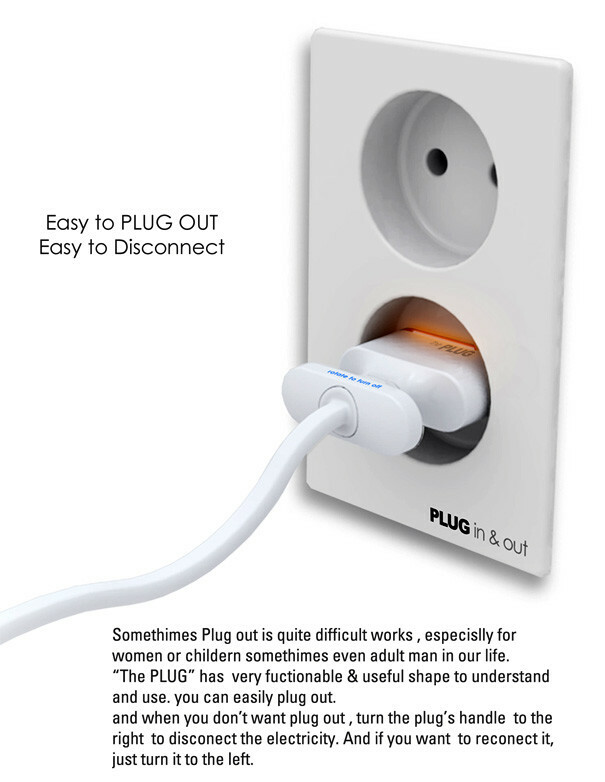 All you have to do is turn the plug 90 degrees and it disconnects from the grid, saving energy. And to quote Won Seok Choi "Sometimes Plug out is quite difficult works, especially for women and children, sometimes even for adult men in our life." Well.. not anymore!! Okay, it might not be an instant commercial succes, but at least it gives us something to think about.